Dunbar has always played an important part in the history of Scotland, as it was on one of the four routes into Scotland in a bygone age. Because of its position, many battles were fought in the surrounding area for superiority to the main road. One such battle, which has been imaginatively named the Battle of Dunbar, took place on the outskirts of the town in 1650 between Oliver Cromwell and the Covananters. The English won the battle. In 1656 Cromwell gifted the town £3300 (a considerable amount in the 17th century) to build a new harbour as the old harbour had become silted up. This harbour was called (and still is) Cromwell Harbour. A major improvement to Cromwell Harbour was the addition of the coal wharf or hirst in 1761. Foreign ships and fishing fleets also came and went from the port of Dunbar. In the mid-nineteenth century complaints over encroachments of French fishing vessels on Dunbar fishing grounds were common. In 1842 it was decided by the town fathers that due to activity of the towns fishing fleet, that a new harbour was required so a new harbour was built which involved the building of a sea wall from Lammer Island to the ruined Dunbar Castle. A bridge was also erected to allow easy access to the Battery which had a small hospital within its grounds. Permission was also given by the Government to blast a causeway through the old castle rock to allow access into the new harbour which when completed was called Victoria Harbour after you know who! 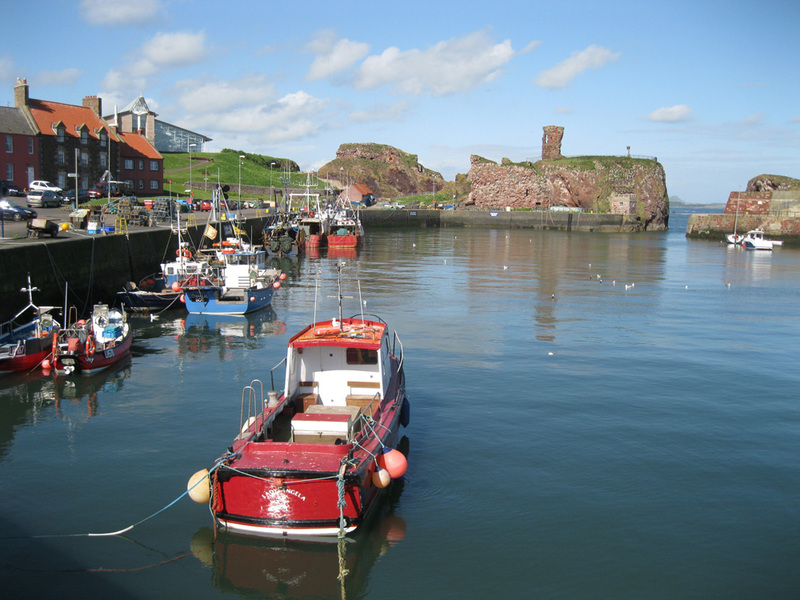 Dunbar is a busy fishing town with boats catching lobsters, crabs, prawns and also some white fish. From the 16th century until the beginning of this century Dunbar was one of Scotland's most important herring ports. Its fishery, however, declined with the disappearance of the herring in the 1920s and the town grew into a holiday resort with very little fishing taking place. However, the fishing in Dunbar has now recovered, and it is once again a major factor in the town's economy. Dunbar Harbour Trust is a charitable Trust manned by a team of volunteers. The main aims of the Trust are to maintain Dunbar as a working fishing port and increase the leisure activities available to the public.